This is an overview of all projects in my portfolio. 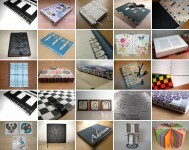 This is an overview of all my finished handbound books. 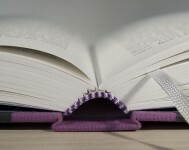 A German binding is a classic binding method where the boards are connected to the book block before the covering material and spine board are attached to it. 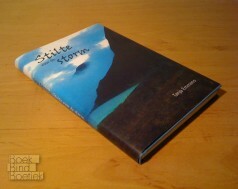 With a Case binding, the cover is first completely made, before the book block is glued into it. 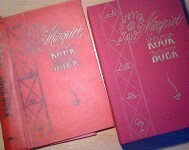 Both ways give us the same result, was it not for the first giving the book a sturdier spine. Both methods are placed under this category. Books that fall into this category are bound on Cords, ropes, ribbons, tapes, etc. 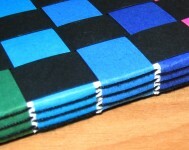 This means that the sections are sewn onto the previously mentioned materials. The Cords are then fastened onto the front and back covers. The sections are visible at the spine. 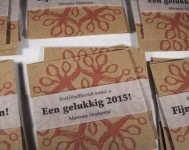 The secret Belgian binding is called that way because the method remained lost or ‘secret’ for quite some time. With this binding the front cover, spine board en and back cover are constructed separately. 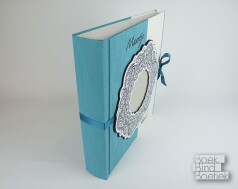 They and the sections are then made into a book using a very smart way of stitching. With a coptic binding the sewing pattern is visible in the form of flat braids across the uncovered spine of the book. 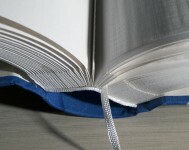 With a Long Stitch binding, the sections are sewed onto the cover. 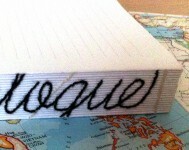 This makes the thread visible on the outside of the spine. 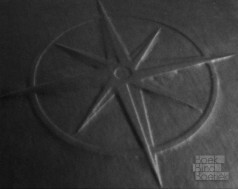 If this binding method is used with flexible cover-material (usually leather) it’s often called a Medieval Limp Binding. If this binding is used with only one section, it’s called a pamphlet binding. A leporello binding has single signatures bound with a pamphlet stitch on the peaks or valleys of a cover folded like an accordeon. All of the above are placed in this category. 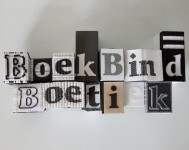 This category contains all binding methods that bind single sheets into book blocks. 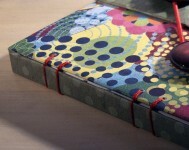 This can be done by (hot)glueing (Perfect binding or the photo-album-fold) as well as sewing (Overcasting or Japanese Stab Binding) and using binding posts. The Piano Hinge Binding is called like this because the spine might look like a black and white piano. 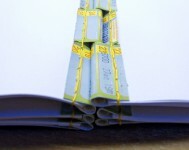 With this binding cuts are made into the (thin) sections to make slots. 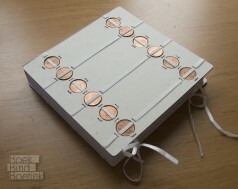 By putting sticks alternately in the slots of one and the next section, the sections are bound together. This is an overview of all rebound books. 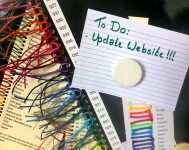 This is an overview of all projects not involving books. 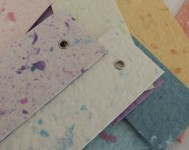 This is an overview of all projects involving my own handmade papers.